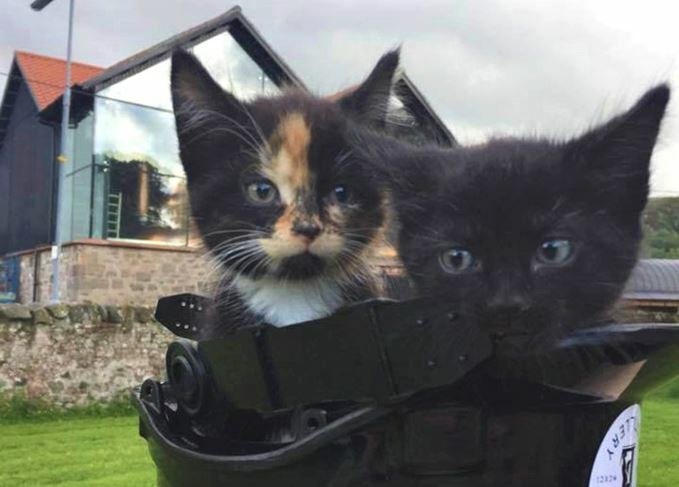 Lindores Abbey distillery is seeking the public’s help to name its two newest staff members – kitten mousers. The distillery’s original mouser-in-chief Toffee passed away earlier this year, and now the distillery has welcomed a male black kitten and female calico kitten to the team. Over the next few days, the distillery is running a competition to find suitable names for the duo, inspired by whisky and the history of Lindores Abbey. The winning entrant will receive a membership to the distillery’s preservation society, which costs £60 and entitles the holder to a complimentary bottle of the first limited edition bottling of Lindores Abbey Aqua Vitae, two tickets to the distillery and 10% discount to use on the online shop. More than 90 submissions have already been received, with names including Aqua and Vitae, Angel and Spirit, and Peaty and Smoky. Entries are being accepted throughout this week, and should be emailed to [email protected]. Building work on Lindores Abbey distillery was finally able to get under way in July last year, following a lengthy excavation process of the historic site. The feline heroes famed for their mouse-hunting prowess at Scotland’s whisky distilleries.